So many things go into a successful Thanksgiving dinner. The food, the decorations, the smells, it’s all a part of hosting a great night. The most fun part about throwing a Thanksgiving party is decorating! Make crafting a huge part of getting ready for this joyous day. Impress your guests with decorations you made yourself! Fill your house with pumpkins, leaves, and fall flowers. Here are some beautiful and easy DIY decorations that you can create to make this Thanksgiving dinner extra special for your friends and family! Having a decorative name card makes your guest feel welcomed and special. It’s also nice to have them sitting in a certain seat so people don’t have to scramble around figuring out what seat to sit in. Here are some awesome ideas for this small but important decoration. 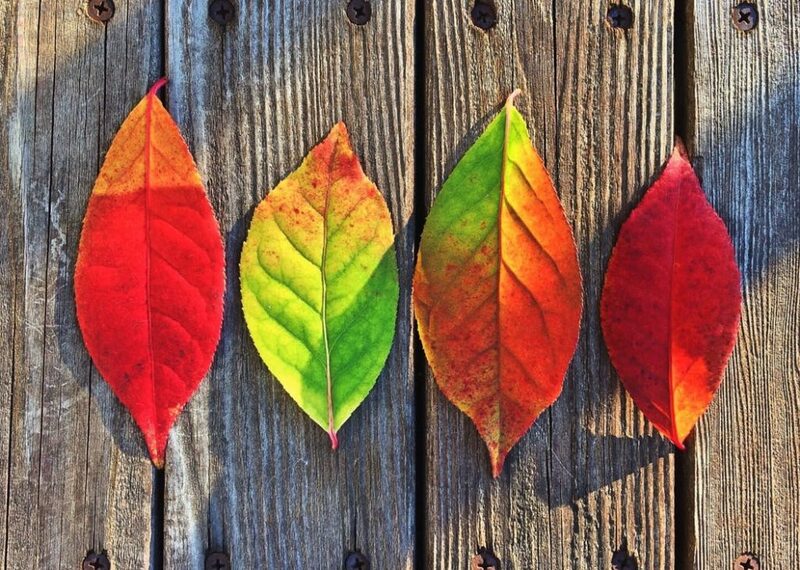 Cut leaves out of fall colored paper such as red, orange, and yellow. Write their names on the leaves nicely and place them on their plates. Get mini pumpkins and paint them whatever color you would like. You can also keep them the plain. Print out their name on a piece of paper or write it. Cut them out in circles and pin them to the pumpkin. Place the pumpkin where you would like that person to sit! Pick up scented pine cones at the store. Saw them in half but stop at the middle. Print their name on a square piece of paper and place the piece of paper into the pine cone where you cut it. Place it near their utensils! From the grocery store, get cinnamon sticks. Cut out a rectangular piece of paper and write their name on it. Stick the paper in the middle of the cinnamon stick. What’s a Thanksgiving dinner without pumpkins? The pumpkin is a staple representation of fall. You can be as creative as you want with pumpkins, but here are some awesome ideas to get your creativity going! Purchase a carve able fake pumpkin at a craft store. Cut the top of the pumpkin off and place foam greenery inside. Stick fake or real flowers in the greenery foam. This makes for a beautiful and easy pumpkin vase for your table center piece. Paint a pumpkin a light color. Write “What are you thankful for?” on the pumpkin with a black sharpie. Have everyone who attends your Thanksgiving dinner to write on the pumpkin what they are thankful for. Welcome your guests by placing a pumpkin on your porch that says welcome! You know how much of a pain carving a pumpkin is. Instead, paint the pumpkin! The designs are endless. 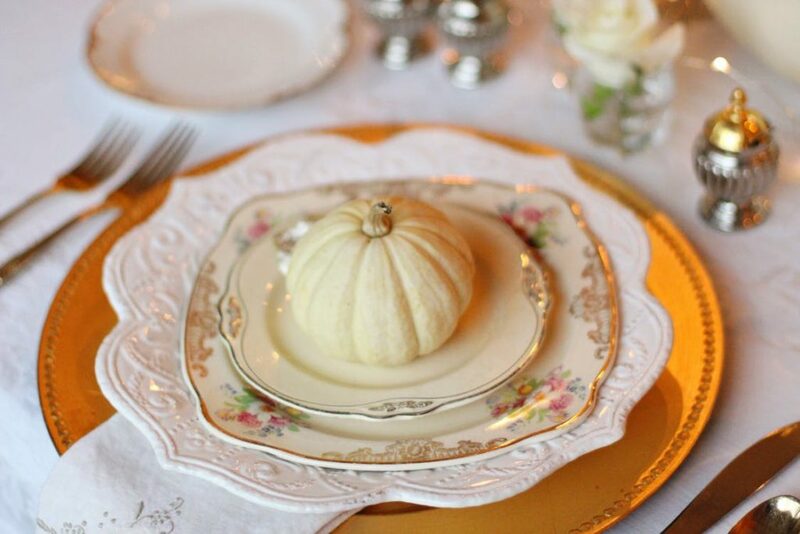 If you’re looking for a more elegant thanksgiving dinner look, paint the pumpkins gold or white with gold accents. You can glue painted leaves or words onto the pumpkin. You can also paint or write words on the pumpkin with a marker. You can also drill holes in a pumpkin instead of carving. This is much easier and you can make a really neat design with the holes and the light will shine through. If your hosting Thanksgiving dinner, it might become quite hectic! Let these easy crafts make hosting less stressful and more fun! Have a great, safe, and wonderful Thanksgiving dinner with your loved ones!